A north-east engineering boss has been banned from running companies for seven years after failing to pay correct tax. Victor Craig Morrell, of Peterhead, was the sole director of Specmar which provided engineering support services to the oil and gas industry. However, the firm entered into creditor’s voluntary liquidation in January last year due to difficult trading conditions during the economic downturn and failing to pay thousands of pounds of unpaid tax. After the company was wound up, investigators from the Insolvency Service looked into the conduct of the 49-year-old and his role in the failure of the company. Investigators confirmed over a four-year period between August 2012 and February 2016, Mr Morrell filed inaccurate tax returns on behalf of Specmar, where he inappropriately claimed input tax on items that were out of scope. After personal expenses were disallowed, it was calculated that due to the incorrect filing of tax returns, Mr Morrell changed from being a creditor of Specmar in August 2014 to owing the company’s director’s loan account more than £350,000 at liquidation in January 2017. On August 22, the secretary of state accepted a disqualification undertaking from Mr Morrell after he did not dispute he submitted inaccurate tax returns. As a result he was banned for seven years from becoming involved in the promotion, formation or management of a company. 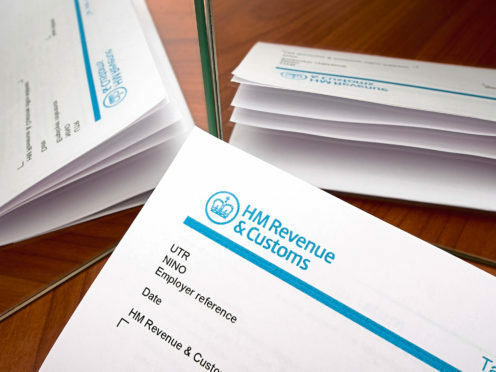 Robert Clarke, Insolvency Service chief investigator, said: “Directors have a firm duty to ensure they deal properly with tax matters and pay what is due. Taxation revenue provides for the benefit of all and cannot simply be ignored. Mr Morrell refused to comment on the matter when approached by The P&J last night.